We can drink 2, 3, 10 or how many litres of water we desire to drink, every day. There are people who would do anything to have a sip of clean water. A sixth of the World's population does not have access to clean water. 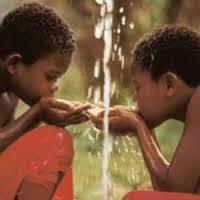 Since you have started reading this, four people around the World have died due to water-related diseases. And what do people do about this? Nothing. In this campaign I am aiming to raise money to help all of the people suffering from this extremely avoidable issue. No matter how small or big the amount you donate is, it will make a difference, and will help someone survive.